Autism spectrum disorder begins before the age of 3 and lasts throughout a person's life, although symptoms tend to improve over time. The exact cause of autism remains mysterious and the early signs of autism don't come out of nowhere. Despite the fact that it is quite difficult to balance watchfulness and worry when it comes to our children's health, it's vital to know what to look for, as early intervention can be so important in the treatment of autism. Keep in mind that no two children with autism are exactly the same. 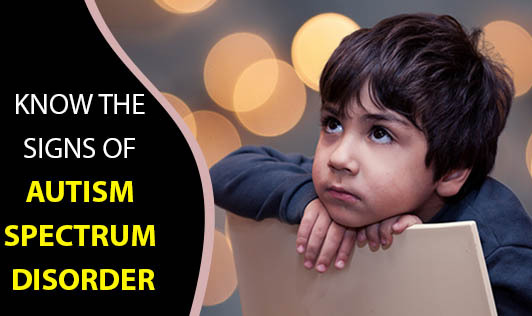 If you're concerned about any of these symptoms or your child has exhibited some early signs of autism, contact your paediatrician at the earliest!